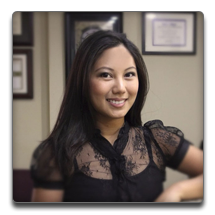 Our Torrance dentist is proud to have a consistent standard of excellence, compassionate care and a warm and inviting office environment. We are dedicated to restoring and enhancing your smile through advanced techniques, customized procedures and state-of-the-art technology. We use the highest quality materials and superior standards in order to meet and exceed your expectations. Preventative care and patient education are the foundation of our dental office philosophy. Our Torrance dentist works to provide each patient with comprehensive dental health care designed to help maintain good dental health and avoid common dental diseases, such as gum disease and tooth decay. Regular dental checkups, dental hygiene education and preventative treatments that include dental sealants and fluoride all play essential roles in helping you achieve your best smile ever. Our Torrance dentist will carefully review your medical history in order to provide you with the most appropriate treatments possible. In order to provide you with accurate recommendations and a tailored dental regimen, we may request information from you regarding your medical and dental history so that we can remain aware of any conditions, medications or changes that could affect your dental health. We maintain strict infection-control standards by following all appropriate recommendations for sterilization and non-cross contamination as advised by the Centers for Disease Control, the American Dental Association and the Occupational Safety and Health Administration. Our team of dental professionals and dental specialists are dedicated to your smile, and we are happy to be able to provide you with the care you need to achieve the smile you want. We are committed to continually advancing our education through dental conventions, lectures, classes and meetings, and we stay current on all the latest dental products, equipment and techniques. Our general dentists and dental specialists offer routine and preventative dentistry, periodontal treatments, restorations, dental implants, laser dentistry, dental surgery, orthodontics, endodontics, prosthodontics and pediatric dentistry. We also offer sedation options for those who struggle with anxiety or dental phobia in order to ensure more relaxed, comfortable procedures. We value each of our patients, and our Torrance dentist is dedicated to providing you with the kind of personalized care you need to enjoy a positive experience and a lifetime of good dental health.